تقدم ميريتون سويتس كينت ستريت شقق فاخرة حديثة في قلب حي الأعمال المركزي في سيدني، وتضم مسبح داخلي ومركز للياقة البدنية وساونا وحوض استحمام ساخن، كما توفر العديد من الأجنحة إطلالات رائعة على المدينة، ويمكن للضيوف الاستمتاع بخدمة الواي فاي الغير محدودة مجانًا في مكان الإقامة. توفر الأجنحة المكيفة مرافق غسيل الملابس، وتحتوي جميعها على منطقة للجلوس مع تلفزيون بشاشة مسطحة مع قنوات الكابل، كما تضم الاستوديوهات مطبخ صغير، وتشتمل جميع الأجنحة الأخرى على مطبخ كامل. يقع مجمع الشقق قبالة مركز التسوق وورلد سكوير العصري، وعلى بعد دقيقتين سيرًا على الأقدام من محطة تاون هول، في حين يبعد كل من مبنى كوين فيكتوريا ودارلينغ هاربور ضمن مسافة 10 دقائق سيرًا على الأقدام. The property will pre-authorize the provided credit or debit card upon check-in and release the hold within 24 hours after departure. The property does not accept cash. All charges must be settled by credit cards. DVD players can be requested at the reception. When booking for 7 or more rooms, different policies and additional supplements may apply. This policy is imposed by the property. Stayed a few times, always nice and comfortable. Room was great, spacious and property had a really great location, near malls and restaurants. Things to note on though, on our arrival dates, we weren't in the room longer than an hour, the living area air condition unit started to spill out tons of water, good thing our things didn't get wet from it. The microwave unit also didn't work when we first used it, we had to call the houseman to have it fixed. Other than that, our stay was great and would definitely recommend this to other travelers and would love to stay here again if given the chance to visit Sydney again. Very centralized location. I used public transportation in entire Sydney stay and this location very close to bus, light rail and train. Not to mentioned choices of foods and shopping are close enough and available in walking distance. Parks and attractions also few distance away from here. Quick and easy check in and out. Suite cleaned daily. Room was overall great and comfortable to stay. Bed and Kitchen are awesome. I am able to use laundry machine that is a plus. Elevator is the one little congested but make sense for high rise building. I definitely stay again when I back to Sydney next time. We always stay at Meriton Kent Street.However this time we were disappointed with the air conditioning in both units we booked .One aircon did not work at all,the other would not cool.This made sleeping very difficult as we could not open the windows.The bathroom sinks in both units would not drain properly also.Apart from these problems,which should be addressed we do like all other aspects of the property. Receptionist ( mr ALEX ) was very friendly , check in process was smooth . Their room card brough us to the room directly ( marvellous ) . my room is at 45th floor ...look at darling harbour and ICC at night , incredible view , my husband even manage to get perfect shoot for "time elapse video" from balcony at night. very clean and comprehensive room services by staff, complete kitchen with its facility and with all my request ( extra milk and salt/pepper entertained 😳) fabric sofa comfortable , tv channel keep us entertain at night. soft and very comfy bed too. we did not have time for those facilities , so not much comment on that. highly recommend this suites for all going for honey moon. perfect stay ever. Fantastic place to stay, very modern and beautiful apartment. 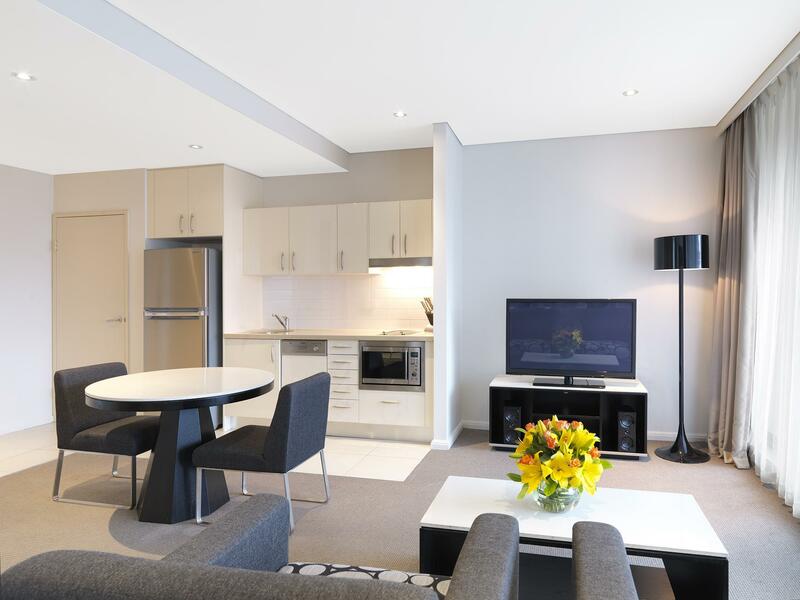 Great value for money and walking distance to Darling Harbour. Car parking is expensive but still cheaper than other places we looked at. The only negatives are the drain in the bathroom was a bit smelly and a sound like a boat horn randomly going off ( possibly something to do with water drainage from higher levels). We loved the place and will definitely be staying again. Huge rooms. Functional kitchenette and laundry area. Well maintained. High tech lift system. Very good wifi. Lots of eating place, halal food, chinatown, shops and malls all within walking distance. Just lovely. Travelled to attend conference and its indeed a great hotel with excellent services. cant remember the front desk officer that assisted us alot but trust us the whole team is always at your service when needed. overall good experience. we got the 2 bedroom unit and the room was big. unfortunately the heaters inside the rooms were problematic. they were not able to fix them immediately. so the rooms were a bit too cold in the wintertime.. the reception were not very helpful when i asked about on street parking signs, as i was new to driving in sydney, wasnt sure what the parking sign means. noone gave correct explanation on what the parking sign means. other than that, good hotel. The apartment located down town where you can get beverage and food easily. Convenient shop just need by walking distance and Asia local food also can get nearby . 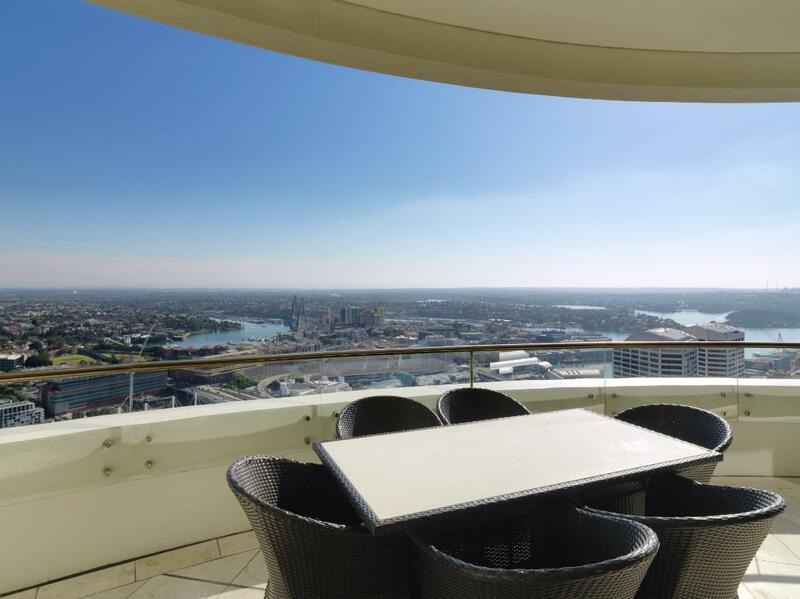 Walking distance 15 minutes from Apartment to Darling Harbour and Sea life Aquarium. Public transport is easy to get at surrounding area. Best location. Far away from construction places but close to everything. Lots of budget street food just near the building. Love the pool and spa, we used both of them every afternoon after our long distance walking. However, people smoked above our room and throw the cigarette buts to our balcony. 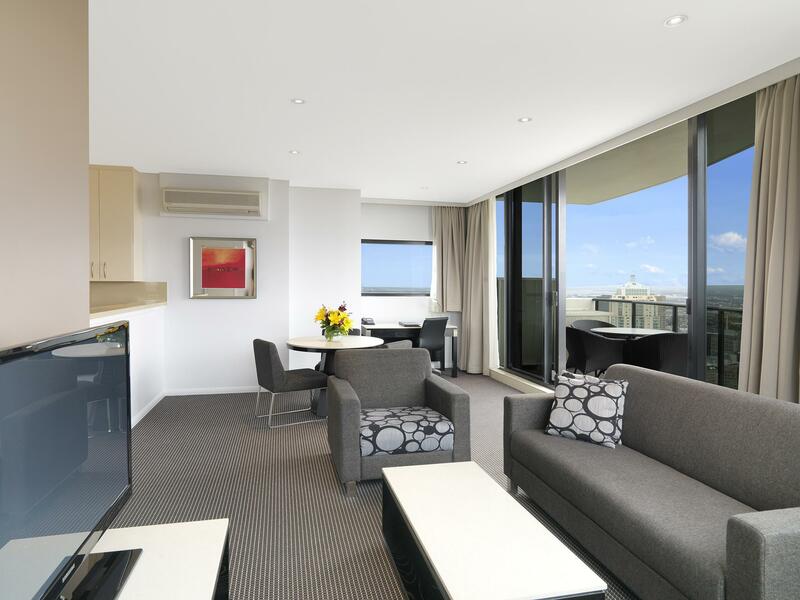 If we are going to Sydney again, we will consider Meriton On Kent St again. Room: very spacious and clean. Definitely suitable for solo travellers. However my room faced the afternoon sun so it was really warm even during the winter season (July) Staff: Will be great if the staff at the reception can be a bit more 'welcoming'? the apartment is very conveniently located in the city, 5 mins walk to darling quarter, a couple of mins walk to world square, restaurants, cafes and supermarkets. Check in staffs are very friendly and accomodating. Definitely recommended. 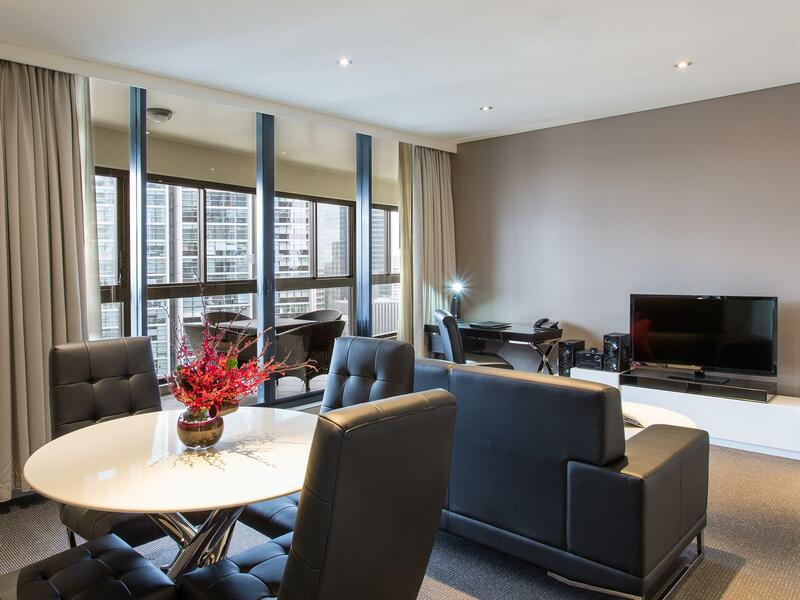 This service apartment is fantastic due to the great views above the 50th floor. We always ask for a high floor so that we can look out of the window and relax. EVerything is clean and new. THis is the 4th time we have come back to this apartment and will always recommend it to fellow travellers. VEry convenient as well. the 2bedrooms apartment is really comfy. really feel like home. I must commend on the cleanliness of the hotel. oh... the wifi is really good and strong. the coffee and tea provided daily is really more than sufficient. 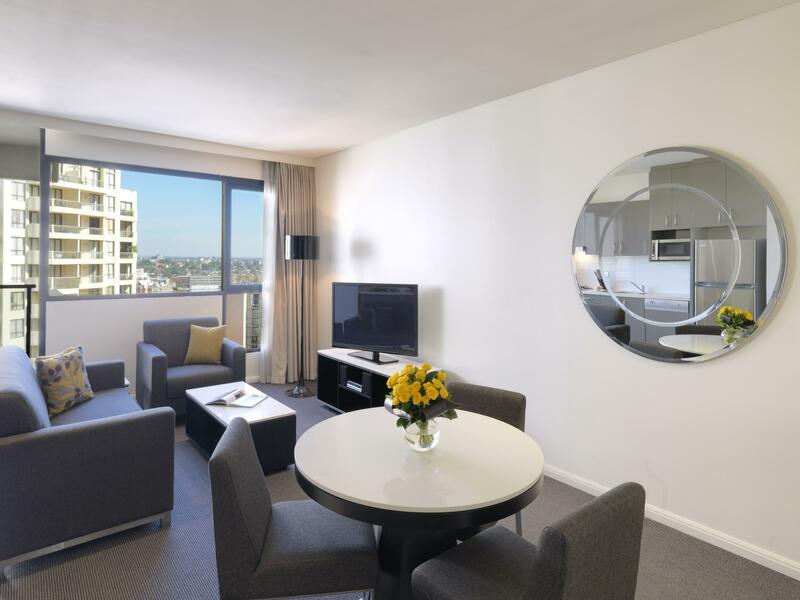 love this meriton apartment and highly recommended to anyone wanting to stay downtown. 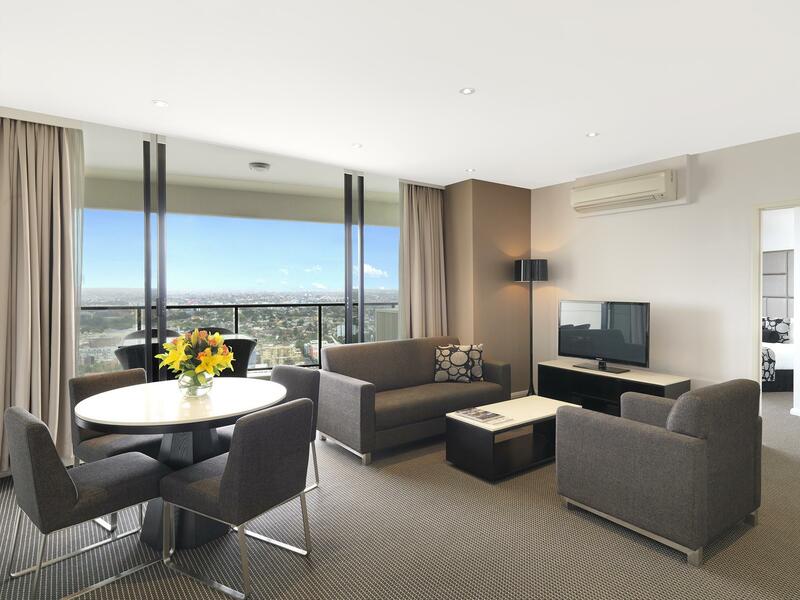 If you are not a big fan of hotels during holiday and look for a city accomodation, go for meriton service apartments which are located in different part of the cities. Kent st or pitt st is easily accessible to must go restaurants or shops in sydney. Very friendly staff and close to shopping mall. Comfortable room and spacious room. Washing machine is provided, but it will be good if the apartment is equip with dryer as well. Overall, I have a pleasant stay. We had a great time on our 3 night stays during our holiday ar Sydney. 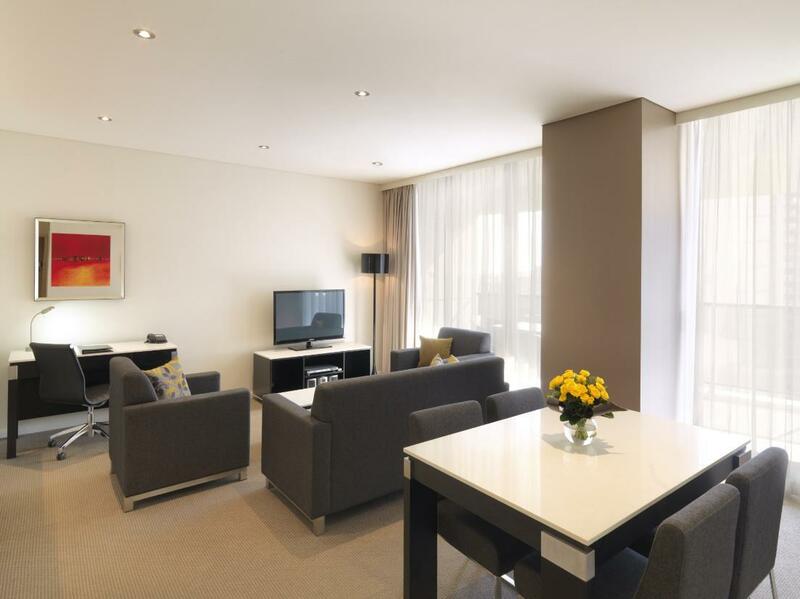 The location is right on the city, close walk to darling harbour and convenient stores. We had no trouble finding food for our kids since the place is literally busy 24 hours. Friendly and helpfull staff that told us whats happening at Sydney during our visit.